Thank you for your review of your recent stay with us. It is an honor to know that we fulfill your expectations, enjoying our facilities and above all our service provided by our team. We hope to receive it in the near future. It is nice to relax in the huge garden after visiting the busy city. The rooms are large and dark with old furniture. There is an expresso mashine in the room.The bathrooms are a good size and really old, but clean. No luxury here. Breakfast is very good with a good selection . Fresh quesadillas in all variations will be prepared for you. Good afternoon, thanks for visiting this beautiful hacienda, I want to thank you for the time that is written to send your comments, which help us improve and provide a service you deserve. I commented that we will soon have remodeling of our traditional rooms. We hope to have the opportunity to receive again, I can make sure we realize that we feel at home! Overpriced, old, way to expensive, basic service - do not book here! 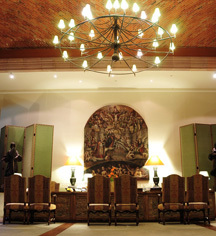 Hacienda Jurica would be the ideal hotel if they only delivered the quality service for the asking price. Far from expectations, you will get a basic 2-star room with almost no internet access, old rugs, basic tv channels, a safe that does not work, and a cleaning staff that will forget to the coffee next day. It has the feel of a 70s retro hotel, with no elevators to go to upper floors, so bring light luggage. They charge $250 MXN pesos for bottle opening, the gym is old and run down, if you want to experience the tennis court you have to pay for it as well. A true business for the owners, not good for customers. I would like you to tell me what problem you had with the internet to inform the systems area. I told you that the safe if it works for some reason is probably blocked and you could not use it. I commented that in this year we will have the remodeling of rooms. I would very much like to hear personally how we fail to prevent it from happening again in the future. Please write me directly to seleene.perez@brisas.com.mx and I would greatly appreciate it if you could send me a phone number where we can contact you. It will be a pleasure for us to recover your confidence and make your next visit perfect. 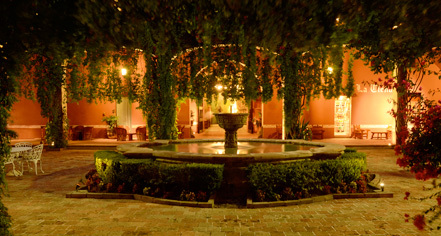 Lovely Hacienda with lots of amenities! The rooms were very comfy, clean and spacious. The staff were super attentive and very nice. I really enjoyed the food, especially the Mexican, it was very fresh. Superb experience!